I was provided a copy of this movie for review purposes only. My boys and I are huge Marvel fans. I may or may not be a bigger fan than them but that’s okay because either way we still get to get our Marvel fix frequently. Between the new movies that are out and the TV shows it’s nice to have a selection. And even better, Marvel just released a brand new movie for us addicts….fans. Iron Man & Hulk: Heroes United! Now I know what you’re thinking. Iron Man and Hulk? That’s an…odd combo. Why not Iron Man and Thor or Iron Man and Spider Man? When considering which characters to bring together for this new adventure the creators went with the ever popular Iron Man and the one character that people want to see as a Hero but doesn’t always see himself in the same light….the Hulk. What seems like an “odd couple” actually makes for great chemistry. The witty and slightly snarky Tony Stark with the no excuses, blunt Hulk makes a great team and they did very well in choosing to make these two the stars of this adventure. Two of the biggest Heroes from the Marvel Universe team up in “Marvel’s Iron Man & Hulk: Heroes United,” the first full-length, direct-to-video CG animated feature from Marvel Animation Studios. Featuring the voices of Adrian Pasdar (TV’s “Heroes,” “Marvel’s Ultimate Spider-Man”) as Iron Man and Fred Tatasciore (TV’s “Marvel’s Hulk and the Agents of S.M.A.S.H.,” “Marvel’s Ultimate Spider-Man”) as Hulk, this groundbreaking Marvel movie experience is available only on Blu-ray™, DVD and Digital platforms December 3, 2013. The very first thing I noticed about the movie is the voices of the characters. I may or may not be a stickler for keeping things as they are so while I understand that it is not always possible to have the same actor voice a character in all of it’s different platforms it’s a pet peeve of mine so I noticed it immediately. Others probably wont notice nor will they care because when you get down to it it’s about the story. In this story Iron Man and Hulk take on one of the fans favorite villains from Marvel Universe, Zzzax. If you don’t know who Zzzax is, he a being composed solely of energy which allowed the film’s creative team to hint at a the real worlds environmental and energy issues that we face today. According to Loeb (Executive Producer and Marvel’s Head of Television) “There’s a little bit of a moral story that’s being played out, given what’s going on with our own Earth, but that’s just a little fun Easter egg for people to find as they go along”. But do not fret, there are other villains featured in this action packed 71 minute movie, including the Abomination (we all know who the Abomination is right), and the Wendigos. Grab your very own copy of Marvel’s Iron Man & Hulk: Heroes United on Blu-ray DVD and Digital platforms now in retailers nationwide! 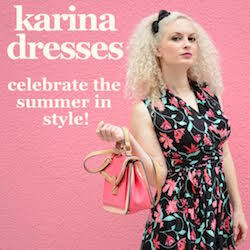 « Find the Perfect Party Dress at DressFirst.com! This would be a great stocking stuffer for my nephew!